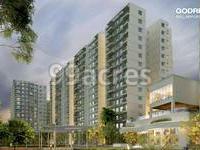 Godrej Aqua in Hosahalli, Bangalore North by Godrej Properties is a residential project. The size of the Apartment ranges in between 1103.0 sq.ft.  and 1911.0 sq.ft. Godrej Aqua price ranges from 48.53 Lacs to 84.88 Lacs. Godrej Aqua offers facilities such as Gymnasium and Lift. This is a RERA registered project with registration number PRM/KA/RERA/1251/309/PR/190102/002277. Godrej Aqua brochure is also available for easy reference. Where is Godrej Aqua located? Hosahalli, a prime residential locality for house seekers in Bangalore North. What are sizes of apartments in Godrej Aqua? The apartment sizes in the project range from 1103.0 sqft to 1911.0 sqft. What is the area of 2 bhk in Godrej Aqua? The size of a 2BHK unit in the project ranges from 1103.0 sqft to 1311.0 sqft. What is size of 3 bhk in Godrej Aqua? The area of 3 BHK apartments ranges from 1451.0 sqft to 1911.0 sqft. How much is price of 2bhk in Godrej Aqua? 2 BHK units in the project are priced at Rs. 4853200 to Rs. 5823462. What is price of 3 bhk in Godrej Aqua? 3 BHK apartments in the project are available at a price of Rs. 6384400 to Rs. 8488662.